Middle School: The Worst Years of My Life movie which now playing in theatres follows adventures of Rafe Khatchadorian, who finds creative ways to deal with bullies, tyrannical Principal Dwight and their supporters. Though Teddy is now at Elementary School, he thinks the movie is totally fun. Every school is a mini-world with own rules, schedules, movements and interactions. One day Rafe along with his friend Leo decide to say no to oppressive, creativity-killing middle school and compose the plan who to break every rule the school so forcefully imposed on student. With multiple ups and downs the battle with Principal Dwight is taken to the level when no one at school can't ignore that new revolution is taking over and old rules do not work any more. One of the scene in the movie when Principal Dwight's room and the school walls are decorated with post-it notes. Not sure how long it took for them to do so, you need to be patient to finish it. To celebrate the creativity in any form we also decided to create our own mural. Teddy likes Yo-Kai Watch characters so his choice became cat Hovernyan. This year Teddy joined Graffiti classes in his art school so re-creating the cat on the wall was a good practice for him. Besides working simply with rectangular and square pieces, the most challenging for him was sizes and proportions. 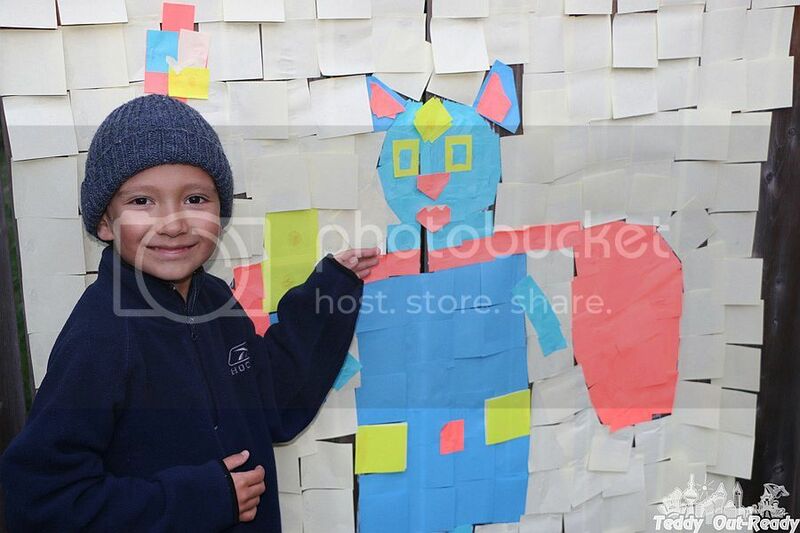 Teddy first drew the cat on the wall and then using Stickies came to final piece. He said that we were making Minecraft but in real world. The whole process was totally fun and tedious too. Besides wall art we also liked the animation pieces, popping up here and there in Middle School movie. Based on the bestselling children’s novel, Middle School: The Worst Years of My Life, which has been a hit with students for years. The movie keeps the book's sense of humour and playfulness while at the same time keeping all the life lessons learned that are so important in the original text. Now you can watch Rafe's revolution leaps from the book page to the big screen in this hilarious live-action and animated comedy based on the New York Times bestseller written by legendary novelist James Patterson. To celebrate the movie release and creativity, we are also happy to giveaway a set of post-it notes to two our lucky readers thanks to Entertainment One. 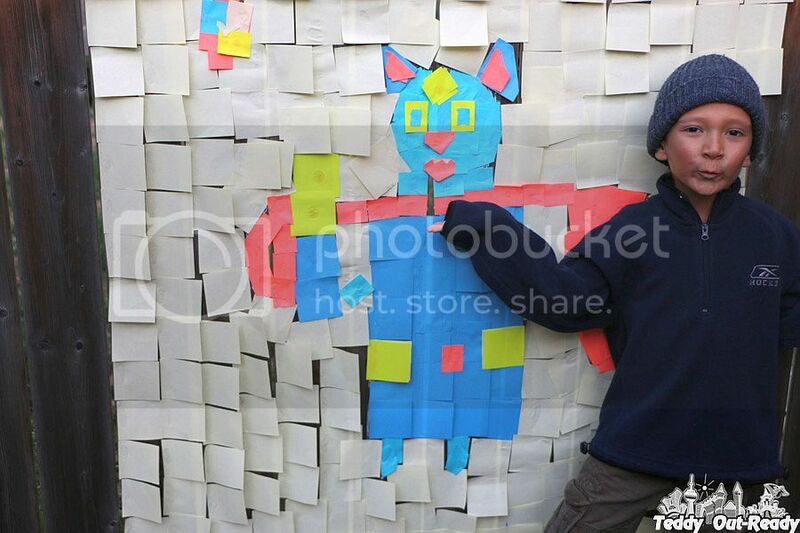 The winners will be able to use Stickies to create their own wall art or other pieces. 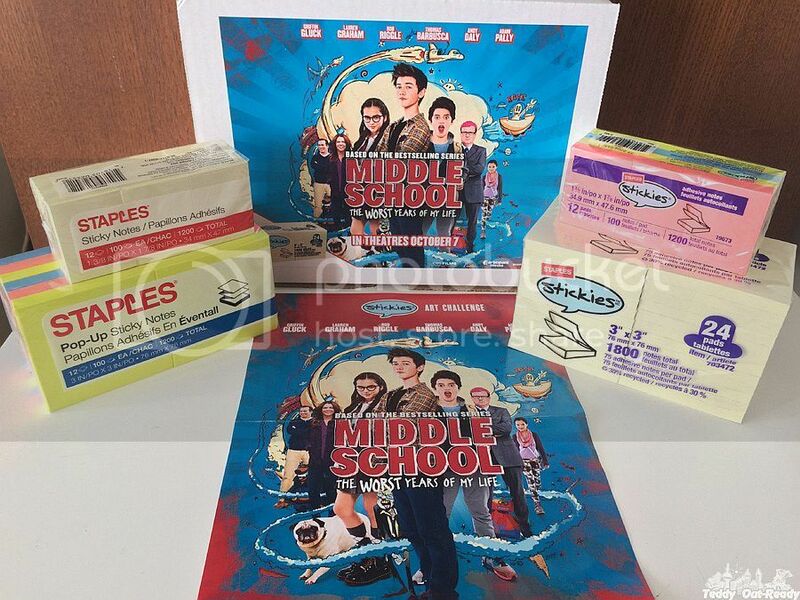 The giveaway is open to Canadian residents only & ends October 29. For your chance simply fill the Rafflecopter Form below. I would help my daughter make her poster for school. I would create a monthly calendar. I would create a globe with a smiley face. The world deserves to smile. We would create a Christmas theme poster! 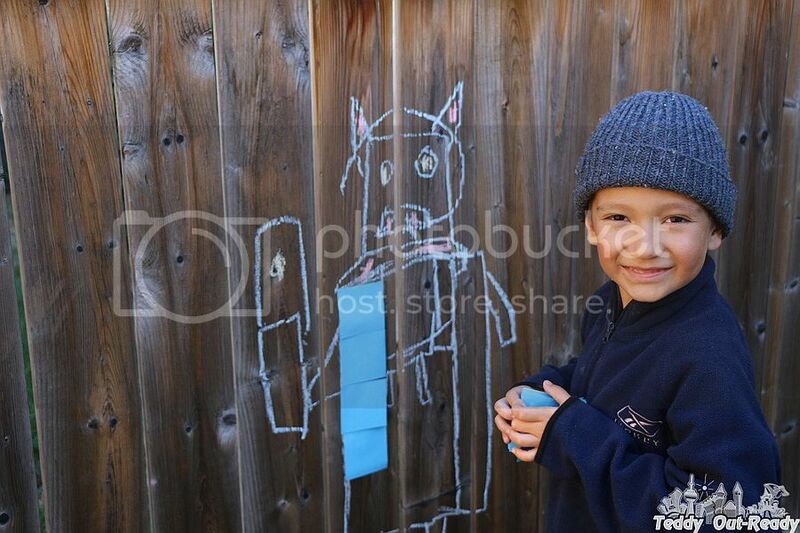 I would create along with help of grandchildren a Halloween themed picture. My daughter would make an anime drawing on her wall with them. I'd love to make a xmas tree :) And a rainbow for my girl! I would love to create butterfly with my granddaughter. I would make a huge homework and test chart. My daughter just started middle school this year and she is slammed with homework, projects, and tests. My son would create a back drop for his toy videos. I would let my kids do a project for school! We would create a flower garden. I would love to create a Halloween or Christmas themed picture with the Middle School Stickies Set. This is actually a great idea for students to express themselves. An activity that I would want to incorporate in my class via markwilliamsinternational.com which is really awesome.